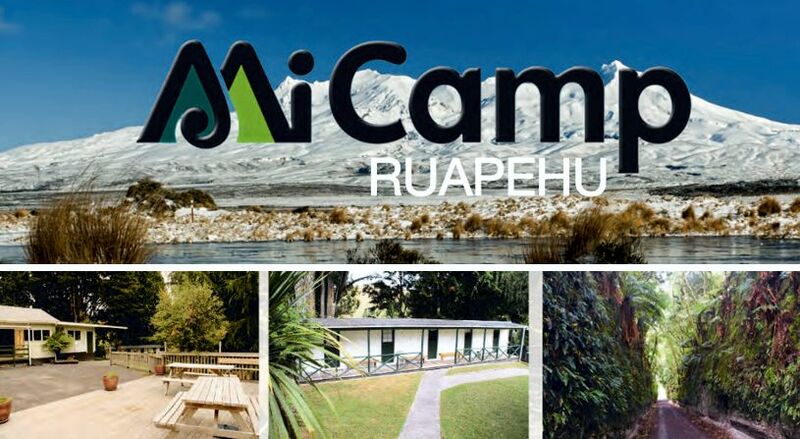 MiCamp Ruapehu is situated close to Kakahi Village within a naturally established native bush setting that allows you to step back in time and walk away from the busyness of everyday life. The camp is bordered by the Kakahi stream which offers good fishing and relaxation. We offer cabin accommodation for 45 people and tent sites, a fully equipped kitchen, dining room and separate lounge. Kakahi is perfect for family reunions, church groups, schools and ski trips. Relax in our two spa pools after a day of hiking or skiing. The nearby glowworm walk is an amazing free attraction. Enjoy the natural New Zealand environment that surrounds this special place.